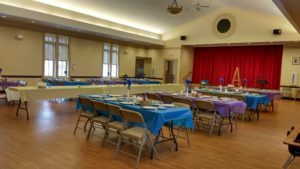 The Congregational Church of Plainville offers a variety of options for your meeting, special event, business function, workshop and more. Contact us for more information or to reserve a space. Dining Hall facility with stage can accommodate large groups. Handicap accessible. Large commercial and licensed Kitchen attached. 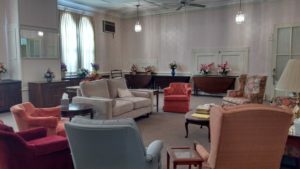 Comfortable group setting can be used for groups up to 50. Table and chairs can be added to space for dining option. Newly refurbished. 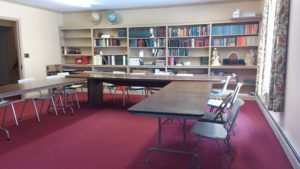 Classroom style meeting space can be used for groups up to 25.